Della says: OMG! by Keris Stainton For review: Orchard. Published May 6th 2010. Woop woop! I'm reading this now and really enjoying it! When scans of embarrassing pages are sent to her mobile and appear on Facebook, Della’s distraught – how can she enjoy her first proper romance when someone, somewhere, knows all her deepest, darkest secrets? I tried to be good and not buy anything this week but it kind of went wrong! From Goodreads: When Carlos Fuentes returns to America after living in Mexico for a year, he doesn’t want any part of the life his older brother, Alex, has laid out for him at a high school in Colorado . Carlos likes living his life on the edge and wants to carve his own path—just like Alex did. Then he meets Kiara Westford. She doesn’t talk much and is completely intimidated by Carlos’ wild ways. As they get to know one another, Carlos assumes Kiara thinks she’s too good for him, and refuses to admit that she might be getting to him. But he soon realizes that being himself is exactly what Kiara needs right now. How to Ruin a Summer Vacation by Simone ElkelesFrom Goodreads: Going to Israel with her estranged father is the last thing Amy wants to do this summer. 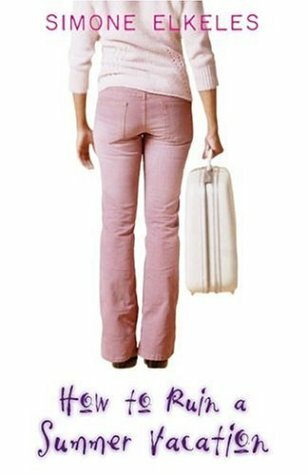 A spoiled American teenager with an attitude that matches her killer Jimmy Choo slides, she's got a serious grudge against her dad, a.k.a Sperm Donor, for showing up so rarely in her life. Now he's dragging her to a war zone to meet a family she's never known, including her ill grandmother who's the only source of comfort in this strange land. Sharing a room with her unfriendly cousin, igniting a brawl at the local disco, and having her Ferragamo sandal stolen by a mutt . . . one hilarious humiliation after another tests Amy's Þerce spirit. Finding her place in a foreign culture isn't easy, but as Amy learns to shed her tough-girl persona, she discovers that making friends, falling in love, and connecting with her family and heritage isn't impossible after all. Seventeen-year-old Jenna has been told that is her name. She has just awoken from a year-long coma, and she's still recovering from the terrible accident that caused it. Her parents show her home movies of her life, her memories, but she has no recollection. Is she really the same girl she sees on the screen? Little by little, Jenna begins to remember. Along with the memories come questions—questions no one wants to answer for her. What really happened after the accident? 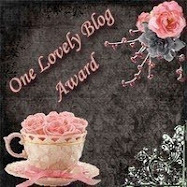 From Goodreads: What happens when Sleeping Beauty wakes up and it's 2009? Then discovers that her Prince is a boy in trouble with the police? Can there still be a fairy tale ending? 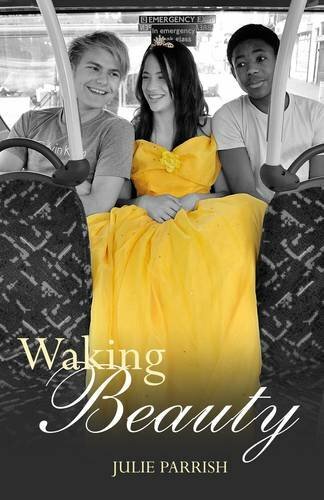 Waking Beauty is a funny and moving fairytale played out against a backdrop of gritty council estates, posh schools and evil witches. Summer, London 1909: Princess Anna pricks her finger, under a curse cast by a wicked witch when she was born. Initially doomed to die, the curse is altered by a good fairy, so that Anna and her family will, instead, sleep for one hundred years, until the princess is woken up by a prince. Summer London 2009: Sixteen-year-old Leo Prince is a boy in care and in trouble with the police. Sentenced to community service, he has to help clear the overgrown land surrounding an old Manor House. Inside, he stumbles across the sleeping Princess Anna. In answer to a dare he kisses her, breaking the curse and waking her. An awkward friendship blossoms between the unlikely pair, but the descendents of the old witch are in London and determined to finish what she starte d. As a result, Anna finds herself being drawn away from Leo and towards Michael, who is good looking, sporty, clever, charming and sophisticated. A modern day fairy in disguise attempts to guide Anna towards the right choice. But what could possibly make her give up the school heart throb? Leo also suspects that all is not as it should be with Michael and his family and that Anna is in danger. But can he overcome his past to save her? From Goodreads: Fifteen-year-old Eve Evergold is cute, sassy and enjoying a busy social life. What she doesn't know yet is that someone close to her is an evil demon that only she has the supernatural power to defeat. She needs to work out who it is - and fast! Because although there's something very attractive about the dark side...dating a demon? Pure hell! Ooh, I'd forgotten that Waking Beauty was coming up. I love the sound of that one, so I'll be looking forward to your review. Some fab books there. I've pre-ordered Della Says. 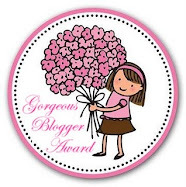 I can't wait for your review of Simone Elkeles's books as I LOVED Perfect Chemistry! Wow great books! I hadn't heard of the first one but it sounds so fun and I love the cover. 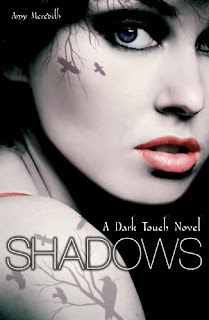 Ooh, Rules of Attraction and Shadows! Great week, hope you enjoy them all! I really want to read Della Says it looks really good, I'm looking forward to your reviews. They look like great books! 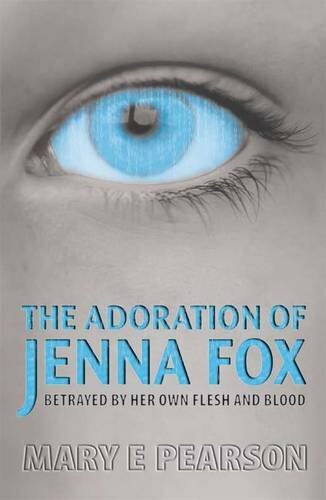 Especially the Adoration of Gemma Fox...that looks fantastic. Awesome books you got this week. They all look really interesting. Hope you enjoy reading all your books. Ooh Fab books! I can't wait for Della Says, and I'll be watching out for your review of Rules Of Attraction! Waking Beauty sounds really good! I want Rules of Attraction and Della Says: OMG! so badly! Enjoy!